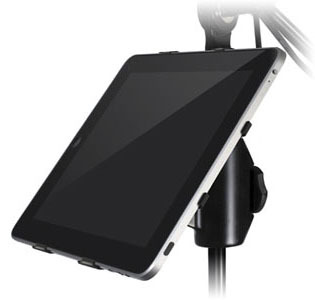 iKlip by IK Multimedia is a universal microphone stand adapter for iPad. The Italian designed iKlip is made from dense thermoplastic moulded components. The durable material is also very lightweight making it very stable for most stand types. 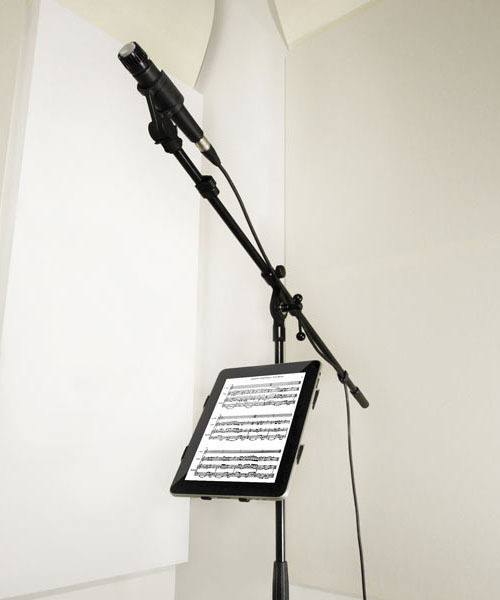 Musicians can use the iPad for displaying scoring, lyrics and notes. The iPad is within your reach on stage for whatever purpose. The iKlip for iPad can be used in any live setting — on stage, in the studio, at school or in the boardroom.